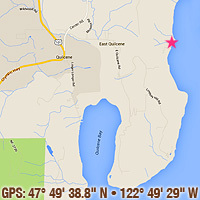 Our cottage is on the west side of Dabob Bay, at the top of the Hood Canal, near the town of Quilcene. the world away from the crowds! Where Are We & What's Nearby? 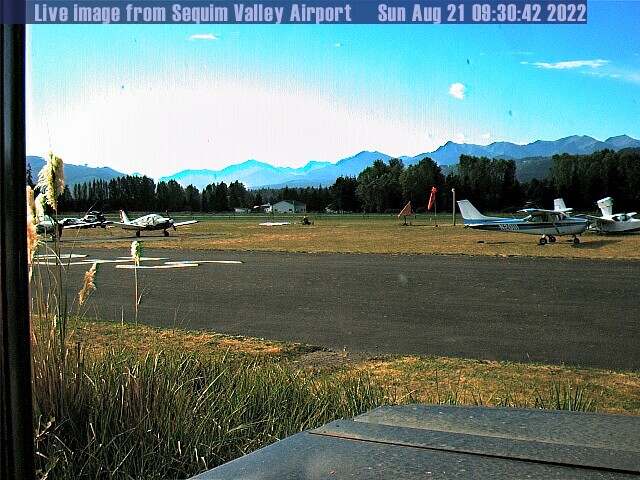 Click WebCams On Right To Enlarge, Click On The Enlargement To Shrink. 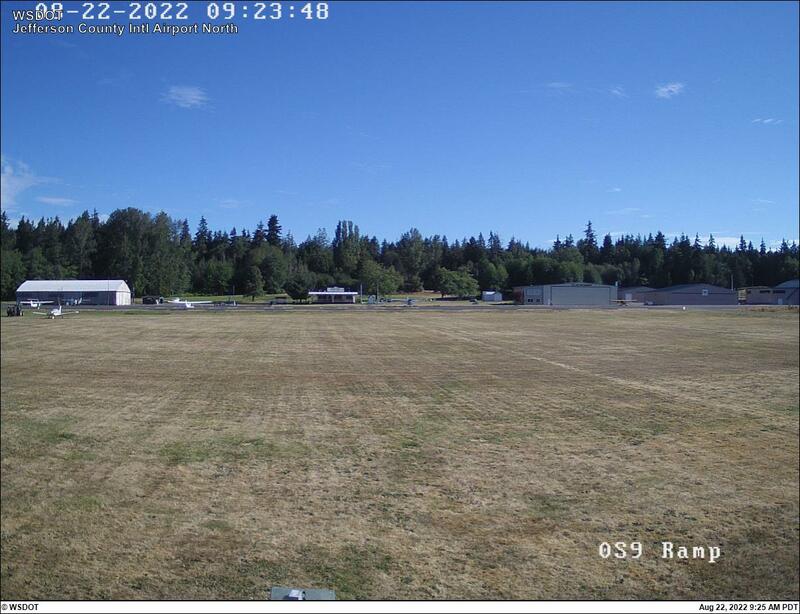 WebCams can go offline (blank/old view) especially in Winter, so check back! Dabob Bay Cottage: We are here! Dabob Bay is one of the largest and most-pristine salt marsh bay estuaries in Puget Sound. 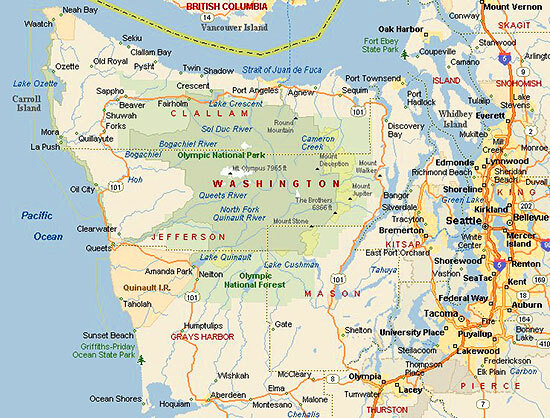 We are located on the east side of the Bolton Peninsula, which separates Quilcene Bay and Dabob Bay — on the north end of Hood Canal. Dabob Bay is home to six family-owned shellfish companies and is known worldwide for the quality of its water, shellfish and diverse wildlife. The Washington State Department of Natural Resources Dabob Bay Natural Area, on the bay's north shore, was established in 1984 to protect our rare salt marsh and sand spit ecosystems. The natural area includes mature coastal forests, coastal streams, feeder bluffs, spawning areas, eelgrass beds, native Olympia oyster beds, tidelands and mudflats used by juvenile salmon and shorebirds; and its open marine waters which are used by salmon, marine birds, harbor seals and orcas. It's amazing to live here and we love sharing it with you. • Quilcene: Our small town on Highway 101. Stop by our historical museum! • Tide Table: For Dabob & Quilcene Bays. Fishing info! Great area map! incredible view from the top on a clear day. • Hood Canal: We're located on a northern bay of this natural fjord. a 5.5-mile sand spit — the longest in the U. S. It's a great hike at low tide! Biosphere Reserve and in 1981, was designated a World Heritage Site. 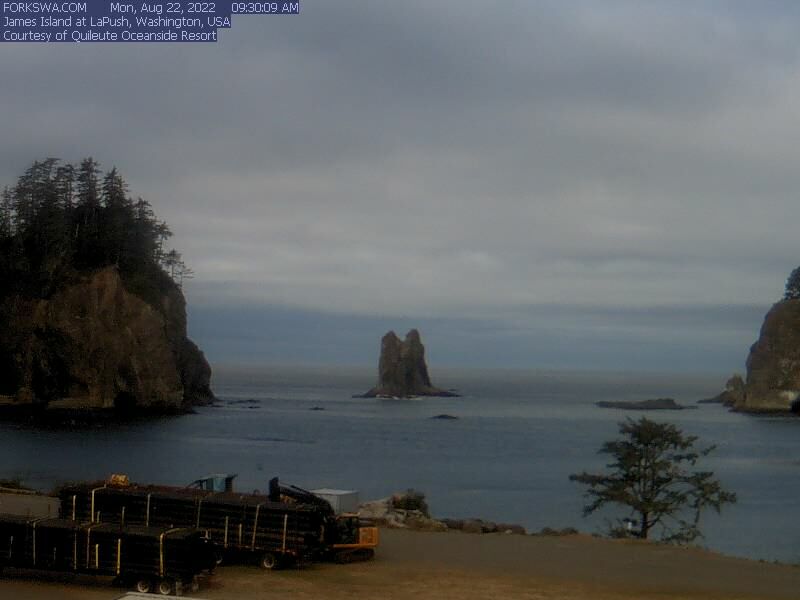 Olympic National Park (OLP). It's 17 miles inland from Port Angeles. • Crescent Lake: On Highway 101 — 1.5 hours away in north-central OLP. acres of forest land encircling the Olympic Mountains — ready to explore! 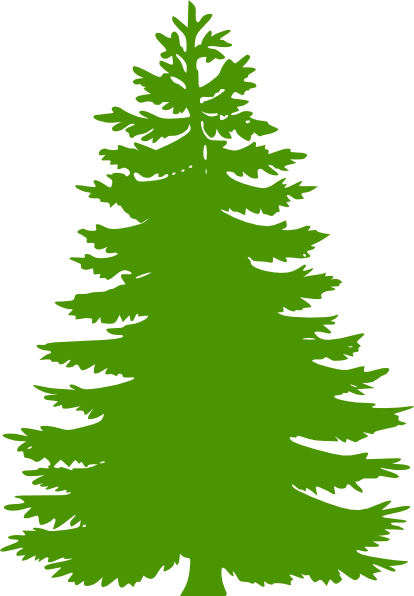 • North Hood Canal Chamber of Commerce: Check out the Emerald Towns! • Port Townsend: Our county seat is a beautiful victorian-styled port town. minutes sailing to Victoria, British Columbia, Canada! 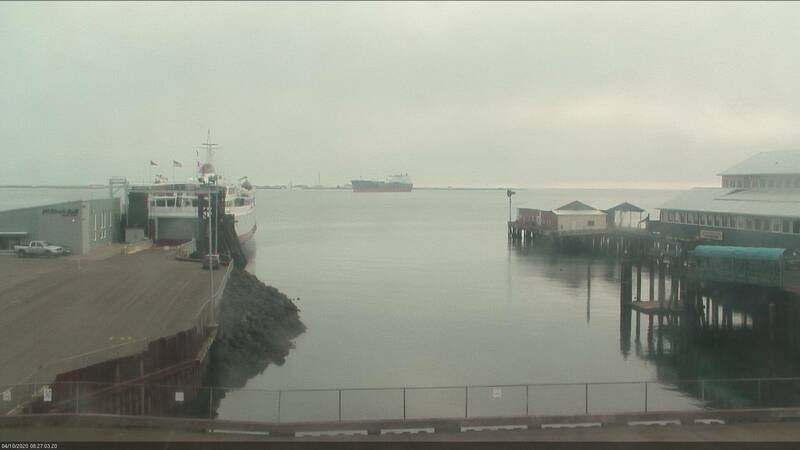 to Coupeville, on Whidbey Island. • Port Townsend Leader: Port Townsend and Jefferson County news.